I, too, prefer mild razors and sharp blades (though not Feather blades). Welcome! Based on your picture I guess you're a cream guy? welcome to smf. thats quite a collection of stuff you have....if that was mine it would take me an hour to decide what to use and then the whole time i would be second guessing my choice! Good morning orientshave, and welcome to SMF. 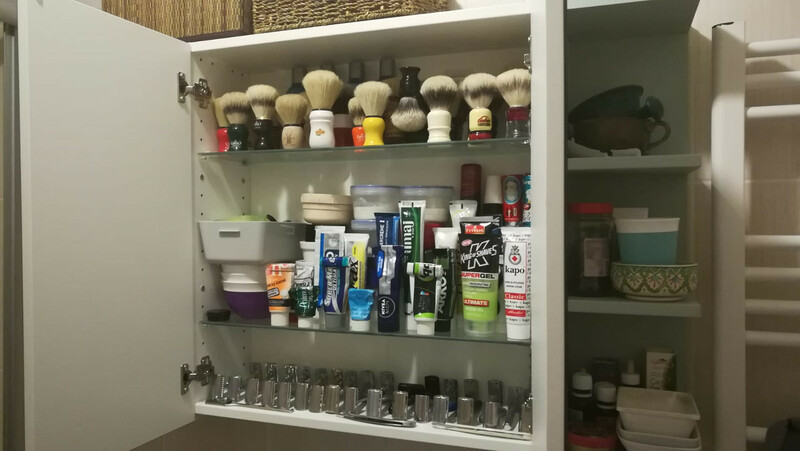 Thank you for posting your shaving den. Thank you @fallingwickets! That's true, I usually find myself staring at the stuff in front of the den previous night to pick up the razor-blade-soap/cream-as for the morning shave! Thank you all for warm welcome ! I need to show the picture to my wife. "See, Hon, at least I'm not as bad as THIS GUY!"